Messi and Suarez run riot, Betis old boy spares Madrid blushes and the mood has officially changed at Manchester United. 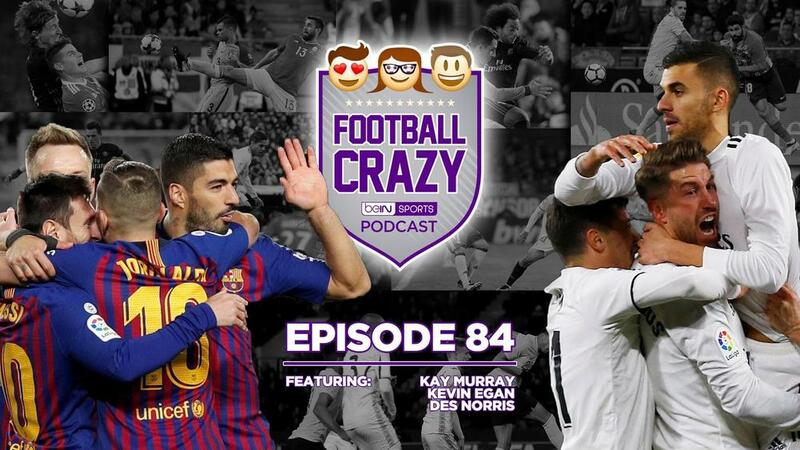 On this week's Football Crazy, the gang goes deep on LaLiga chat as Barcelona duo outscores every other side, Santi Solari rides his luck while subjecting Isco to more bench blisters, Iñaki Williams scores his first home goal since Donald Trump became president, Antoine Griezmann secures the archetypal Atleti result, Real Madrid's top scorer nets three for Rayo, and Valencia, you guessed it, pick up a point. In the Premier League world, Ole Gunnar Solskjaer passes his first litmus test, Liverpool bounce back after back-to-back defeats, Unai Emery gets Hammered and Neil Warnock goes on the Brexit warpath. In France, PSG win easy before jetting off to Qatar sans Adrien Rabiot, and Cesc Fabregas makes his Ligue 1 bow as Marseille and Monaco play to a draw in the Les Misérables derby.